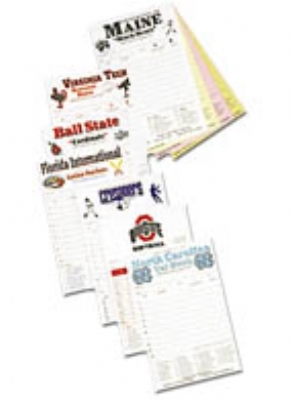 Just about every school has its sports schedule printed in some form and displayed throughout town. Why not your sport and your team? In addition to promoting your schedule and team, the posters can pay for themselves with sponsors' ads! 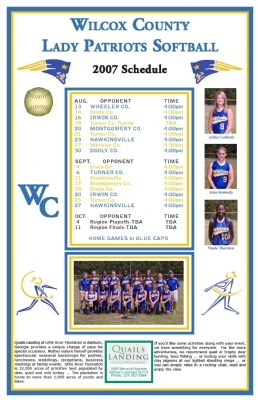 Our Team Schedule Posters feature all your team information on one side of an 11" by 17" sheet of heavy cardstock paper. We can include your photo(s), schedule, sponsors and other information in an attractive layout using your team colors and logos. Work with us to design a poster just for you! Our posters come in quantities of 50, 100 and 200.